Sure, you probably already have photos of Nicolas Cage hanging in most if not every room of your home. But Nic is so much more than a single shot can convey, and even a hundred of these approximations is an insult to the depth of his character. 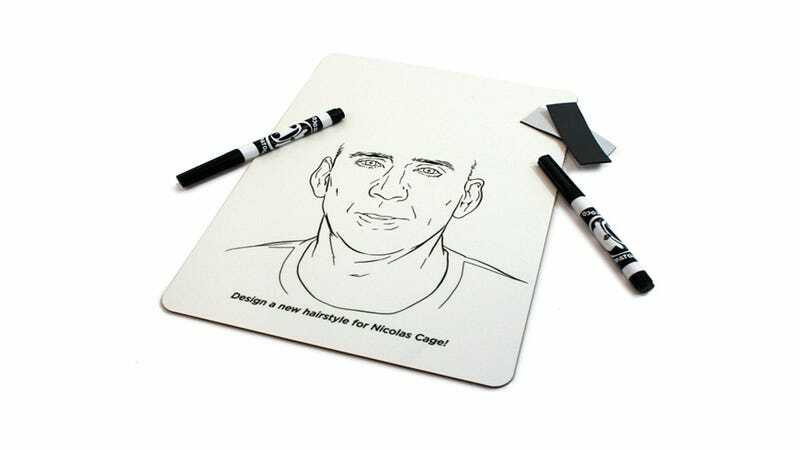 The Nicolas Cage Hairstyle Whiteboard, however, finally offers the flexibility you need to feel like Nicolas Cage is right there in the room with you—watching, furrowing his brow, and screaming incoherently at only the most appropriate times.